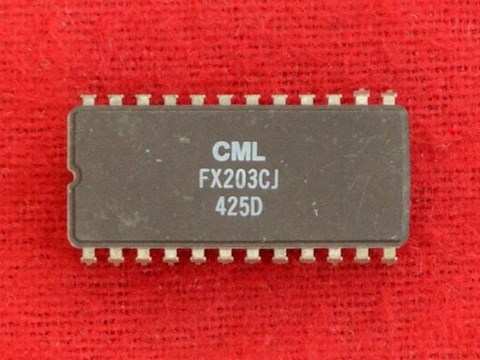 The FX203 is a single-chip 'N' tone Selective Call encoder-decoder peripheral intended for use with a host microprocessor. The device is available in 3 tone set formats, CCIR, EEA or ZVEI/SZVEI. A 4-bit data I/O bus, 2-bit address, CS, R/W and IRQ lines are provided for connection to the microprocessor. Separate general purpose 4-bit input and 2-bit output ports are available to allow external circuitry access to the microprocessor via this device; functions such as 'PTT', 'Rx Squelch', 'Alert Bleeps' and 'Lamp Drivers' could operate this facility. An on-chip general purpose timer is provided for such functions as Rx and TX tone period timing. Time periods of between 10ms and 140ms in 10ms steps may be programmed via the microprocessor interface. 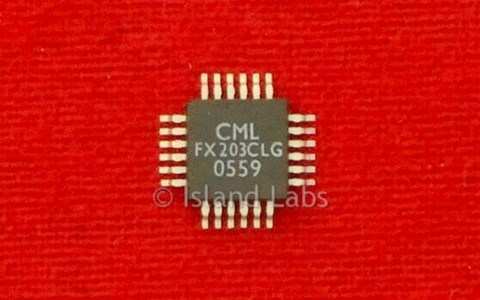 The FX203 reference oscillator utilises a low cost 4.0 MHz Xtal or externally derived clock. 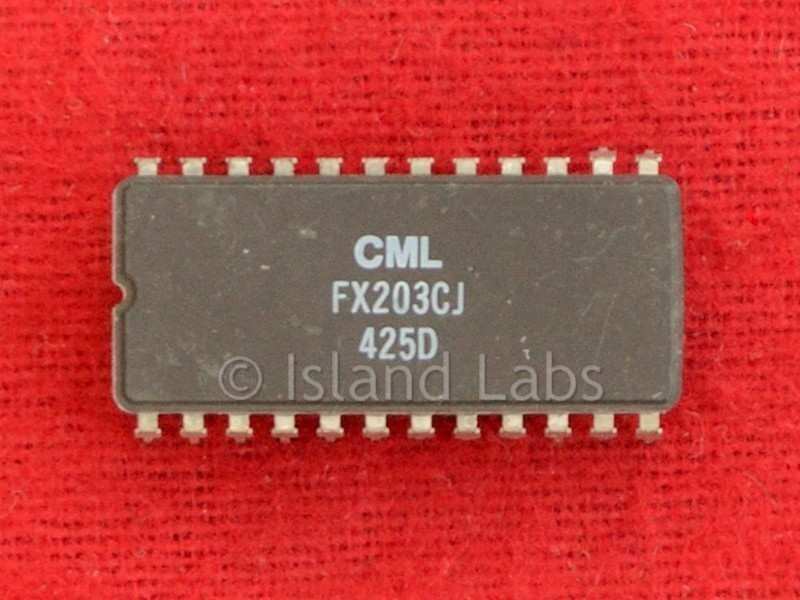 The divide by four (1 MHz) output may be used to drive the clock circuitry of other devices such as the FX365 CTCSS Encoder / Decoder, FX004 Voice Band Inverter, or the FX214 VSB Audio Scrambler. The FX203 requires a single 5-volt supply and utilizes ‘chip enable/power save’ facilities for reduced current consumption in the standby mode.